Learn why organizations are moving data warehouse workloads to the cloud to maintain their competitive advantage. Learn how top companies around the world are using a new breed of data warehousing to be fluid, flexible, and formidable. 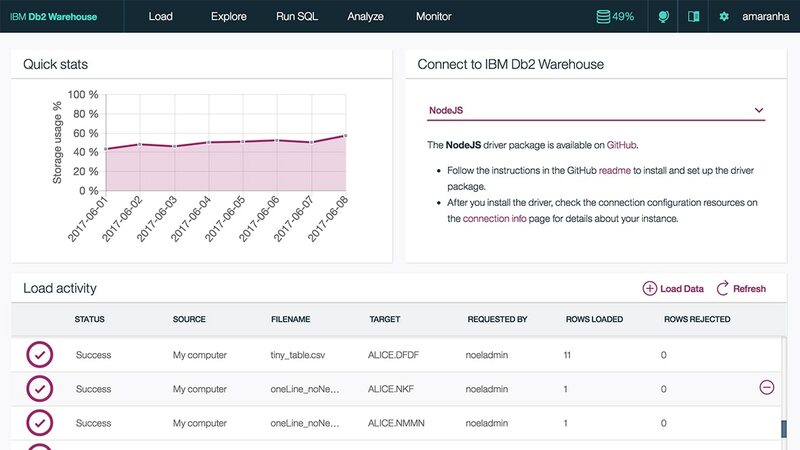 Find out how IBM Db2 Warehouse on Cloud can help lower the cost of analytics, enable flexibility and deliver deeper insights. What could you do with an elastic, cloud-based data warehouse? Complex analytics and calculations require a data warehouse that can respond with speed and power on demand. In this webinar, IBM will put focus on how a warehouse on cloud with elastic resources can benefit your organization. Five ways cloud data warehousing is changing the future of data warehousing.